Offering you a complete choice of products which include brass tower bolts and brass door tower bolt. 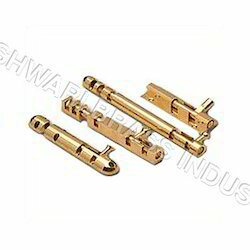 We offer Brass Tower Bolts that are widely used in construction industry. 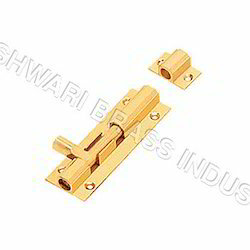 These have been manufactured as per a standardized process and using standard quality brass and allied materials. These are characterized by impeccable design, dimensional accuracy, tensile strength and excellent finish. We readily customize them as per the specifications of the customers. Bulk orders are undertaken and processed within the given time frame.